Ever wished that you could check in on your WordPress website while you’re away from your desk? Well, with these mobile apps to manage WordPress active on your phone, you can. These apps help you maximize your time – you’ll be creating content, automating actions, checking in on your WooCommerce store, and more…all from your mobile phone. Below, we’ll share ten of the most helpful mobile apps to manage WordPress. These apps will either directly let you access your WordPress site, or help with related activity, like managing your social media strategy or your email marketing efforts. Helps you…create and manage WordPress content, as well as other aspects of your site using a stripped-down interface. 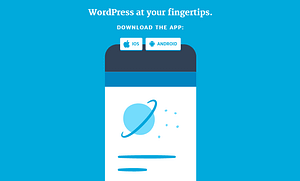 The WordPress.com mobile app is mostly about creating, editing and adding content. Working from a reduced WordPress interface, you’ll be able to add images, videos, and featured images right from your phone. The push notifications also make it possible for you to respond immediately to your visitors. This official app is great for managing comments, too. And once you integrate with Jetpack, you can do many more things. For instance, with just a tap on your mobile, you can find out about all the traffic to your website, or publish posts. Helps you…view important information from your WooCommerce store, like sales, orders, products, etc. The official WooCommerce app from Automattic helps you stay up to speed with your WooCommerce store. What’s cool about this app is that it puts a snapshot of your entire store on a single small screen. You’ll be able to scan the full product catalog, zoom in on any product or order for details, and retrieve data too. 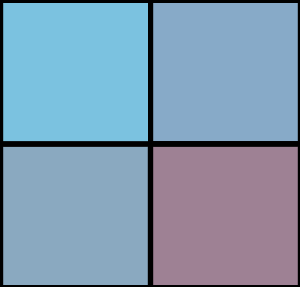 Switch easily between multiple stores to keep track of inventory across any number of stores. Moreover, you’ll not have to keep returning to your laptop to keep up with new orders or to respond to customer queries. Unfortunately, the app is only available for iOS right now (sorry, Android users!). There is an official Android app in beta, though, so this will change soon. Helps you…write content, and organize content that you’re working on. Ulysses helps you create content wherever you are. It’s great for jotting down all the random thoughts that pop into your head while riding the metro or walking on the beach. You can convert them into awesome posts right away or at any other convenient time. You can use it to export text to HTML anywhere on the web (including WordPress), and publish it instantly. Or check the built-in preview, before you hit Publish. If you need distraction-free writing on a Mac device, this one is for you. What’s nice about Ulysses is that only the basic minimum of features are readily accessible. At the same time, the advanced features are just a tap away. Helps you…create simple notes so that you can stay organized. Simplenote finds a place in this list of mobile apps to manage WordPress as it comes from Automattic, the company behind WordPress.com. It’s useful to make notes, keep them organized, share with others, and publish them to WordPress. You can also make a backup of your notes. And there’s no need to repeat everything on your laptop, as your notes stay updated across all devices. It’s a good alternative if you’re not looking for feature-rich apps like Ulysses or iA Writer. Helps you…manage your MailChimp email marketing campaigns while on-the-go. MailChimp for mobile should surely rank among the top mobile apps to manage WordPress. It has the capability to put your entire marketing campaign in the palm of your hands. With ready-made templates and access to your most recent subscriber list, you’ll be able to send out newsletters from anywhere. Neat reports and all kinds of stats can be viewed in an instant, and you’ll be able to act on any input immediately. For example, you can prompt shoppers to proceed to checkout if they’ve abandoned their carts, or make product recommendations. Helps you…write content using a helpful distraction-free interface. 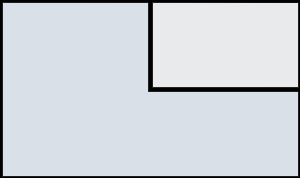 Clean, clutter-free writing space – that’s what you get with iA Writer. The app works as a text editor that helps you draft business proposals, short notes, full-fledged novels, blog posts and really anything else that you need to write. The fuss-free screen helps you stay focused on your writing without any distractions. 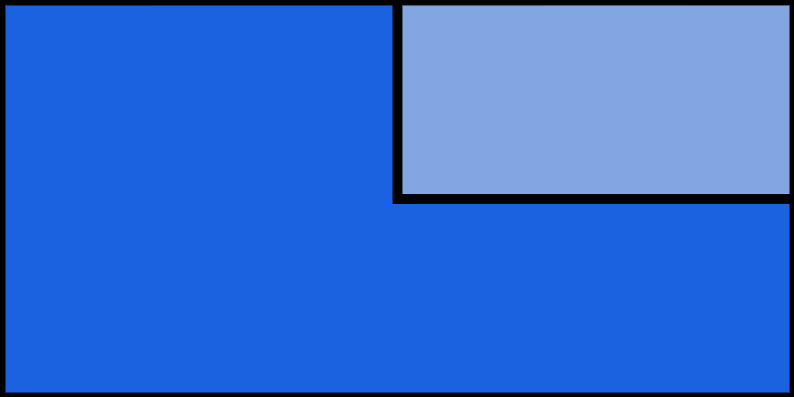 In fact, by using the Focus Mode, you can keep the focus to just one sentence at a time. Even as you write, you can format the text on the screen using the auto markdown feature, and then export the formatting to HTML. Working in dim light is not a problem at all, simply switch to Night Mode. And because it seamlessly integrates with Dropbox and Google drive, access from any device is possible. Helps you…automate…anything. And then manage your automatic actions while on-the-go. IFTTT is a service that helps to automate many things on the internet by making all your apps and devices play nice together. And you can enjoy the same convenience when you activate the app on your mobile. 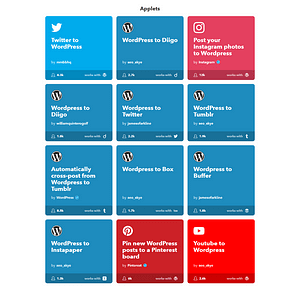 You can use the IFTTT mobile app to connect with hundreds of third-party apps, services, and tools, including your WordPress site. 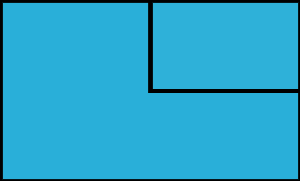 IFTTT helps you get a lot done by activating applets to automate areas of your workflow. For instance, you can automate sharing across multiple social channels, publish videos as posts, and a lot more. What’s more, you may be able to replace a few plugins. It makes sense to install this app if you’re looking for a hands-off approach to managing your multiple devices and accounts. Helps you…write content or access any of your existing Google Docs content. If you have a Google account (anyone without one?! 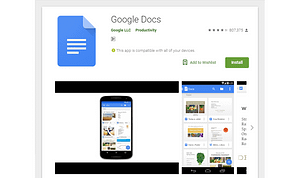 ), Google Docs app is a great way to create or edit any text document. Once you share the doc and grant privileges, your entire team can work on a document, all at the same time. The Explore option helps to search the internet even as you type. Every click of your keyboard is saved in real time. And after you’re done, you can save it all in a Word format. Synchronization is almost instant. You can then import straight from Google Docs to WordPress (though you’ll need to wait until you’re back at a desktop computer). Helps you…manage all of your social profiles. Hootsuite is a fine option to promote a blog post in social media. With this app on your side, you’ll be able to schedule sharing to Facebook, Twitter, LinkedIn, and many other social platforms. But that’s not all – Hootsuite can monitor social media, likes and comments, schedule posts, and interact directly with your followers. The Tabs you see in the full version are also available in the app. You can use the tabs in ways that best suit you – multiple search streams for multiple networks or many social accounts from a single platform. Helps you…automate…anything. And then manage your automatic actions while on-the-go (yes – like IFTTT). Zapier is kind of like a more business-focused version of IFTTT. 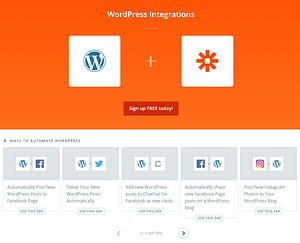 Zapier gives you the power to integrate WordPress with hundreds of other apps to automate your work. There are 100+ WordPress-specific “zaps”. You’ll be able to integrate Google Apps, Evernote, social media platforms, and more with your WordPress site. 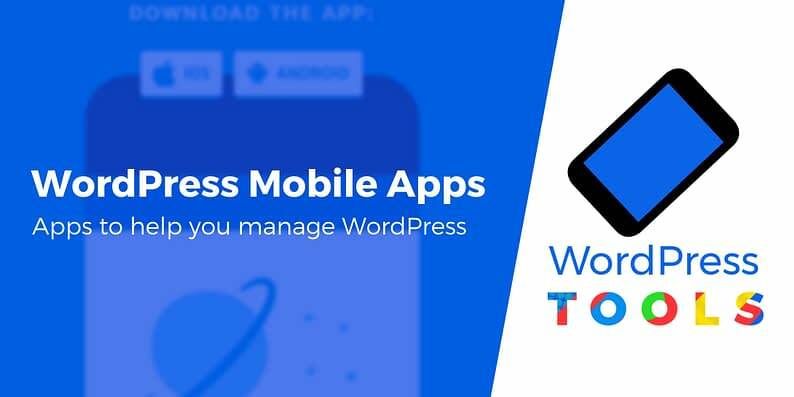 Though not perfect or as full-featured as their desktop versions, these mobile apps to manage WordPress have wonderful advantages that keep you productive even while you’re away from your laptop. We hope you found them helpful. And if you know of any other quality mobile apps to manage WordPress, please share them with us in the comments!